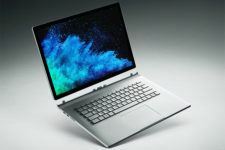 Sell Microsoft Surface Pro: Apple’s iPad is still the most dominant tablet on the market, but it’s been facing some stiff competition from other products such as the Microsoft Surface Pro. The Surface Pro is certainly more powerful than the iPad, but it still seems to lack the appeal of Apple’s tablet. As powerful as the Surface Pro is, it is also much more expensive. It also has a less elegant design than the iPad Air, the display isn’t as sharp and vibrant or the speakers on the iPad are just a little more powerful. As much as the Microsoft fans love their Surface Pros, the iPad just seems like the better machine overall. There is only one area where the Microsoft Surface Pro outshines the iPad, and that’s inits productivity. 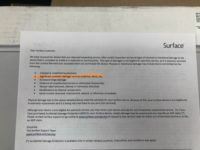 As a Microsoft product, the Surface Pro was always capable of running a version of Microsoft Office, which has been the most widely used software suite for years. The iPad didn’t have its own version of the iconic Office suite, and this has always held the tablet back in the eyes of many. 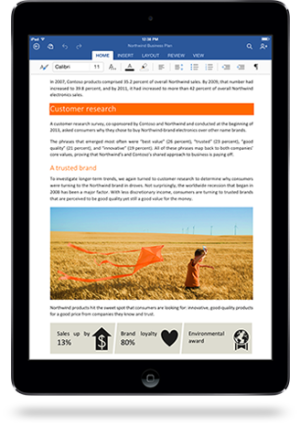 However, that looks like it’s become a thing of the past, because Microsoft just released a version of Office designed for the iPad this past Thursday, ending what may have been the longest period of anticipation in the history of iPad apps. If you’re familiar with the Microsoft Office suite (and who isn’t), you should know what to expect from the iPad version. 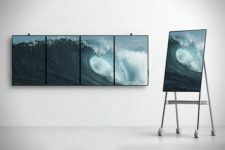 It has almost all of the programs and features found in other recent versions, except everything seems to have been streamlined with the iPad’s operating system and display. As with other current versions of Office, all of your work is saved to the cloud-based Microsoft OneDrive storage account. This means that you will be able to easily access files using other devices. The one major downside to Microsoft Office for the iPad is that there is no option to print files directly from the device itself. On the other hand, accessing a Word document or spreadsheet created on your iPad with another machine capable of printing isn’t a difficult task. Now that Microsoft Office is available for the iPad, perhaps now would be a good time to invest in a brand new iPad. 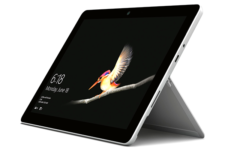 Even if you already have a Microsoft Surface Pro, you can always sell it to iGotOffer when it comes time for a new tablet. iGotOffer offers free shipping and competitive prices for used or even broken devices, and it could be exactly what you need to help you afford a new iPad Air 2 or the iPad 6 when it comes out. For more information about how you can get paid for a used iPad or any other Apple device, contact us online at iGotOffer.com. If you decide to sell your Microsoft Surface Pro, we are here to help! iGotOffer.com: the best place to sell my used Microsoft Surface Pro online. Top cash guaranteed. Free quote and free shipping. BBB A+ rated business.